The stratosphere starts just above the troposphere and extends to 50 kilometres (31 miles) high. 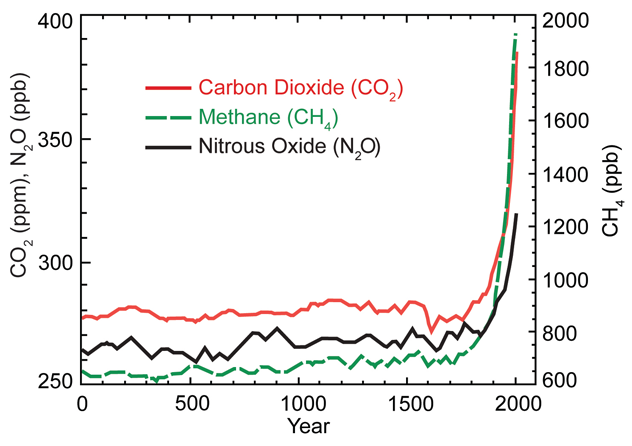 The ozone layer, which absorbs and scatters the solar ultraviolet radiation, is in this layer. The thermosphere starts just above the mesosphere and extends to 600 kilometres (372 miles) high. Aurora and satellites occur in this layer. 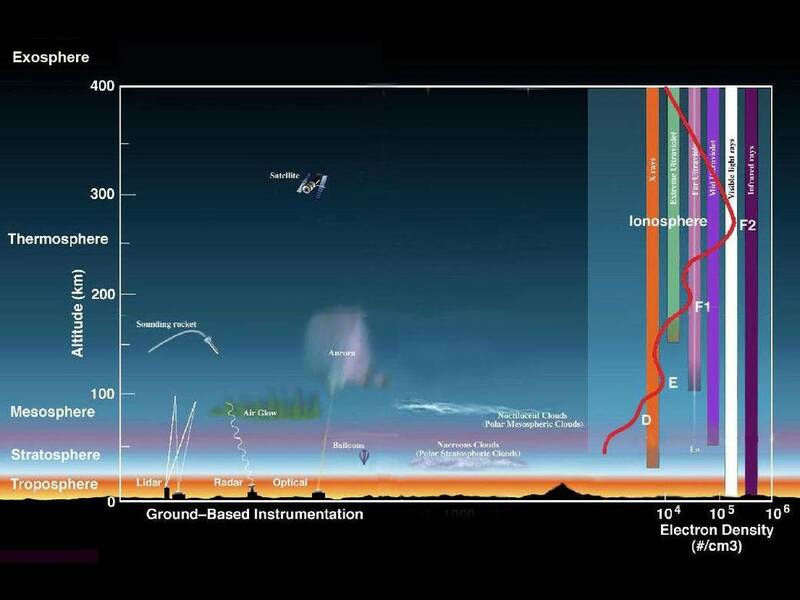 The ionosphere is an abundant layer of electrons and ionized atoms and molecules that stretches from about 48 kilometres (30 miles) above the surface to the edge of space at about 965 km (600 mi), overlapping into the mesosphere and thermosphere. This dynamic region grows and shrinks based on solar conditions and divides further into the sub-regions: D, E and F; based on what wavelength of solar radiation is absorbed. The ionosphere is a critical link in the chain of Sun-Earth interactions. This region is what makes radio communications possible.